This is a great winter project for the Ski boat enthusiast…. 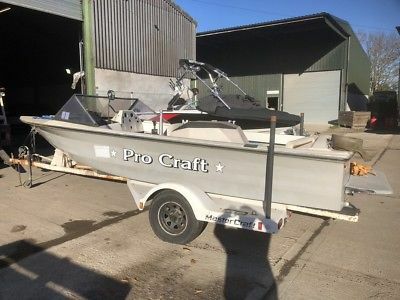 Circa mid eighties Pro Craft… Very similar in design and build to the MasterCraft Pro Comp’s of the day. The Hull, Deck and Floors in this are solid. Is coming with most of its interior, and a launch trailer. Requires an Engine and Transmission and instrumentation. Selling to free up winter space!